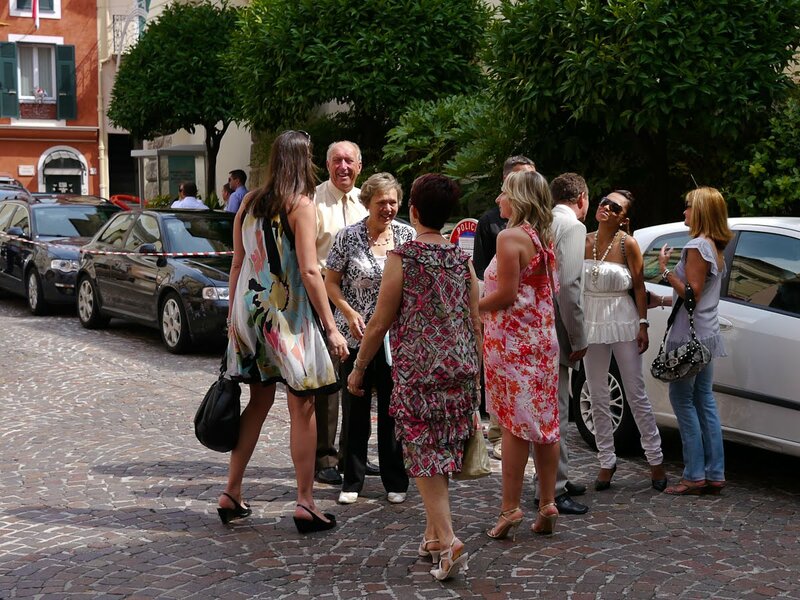 As you see Princess Charlene is not the only bride in Monaco. This wedding - a far more relaxed and casual affair - took place outside at the Mairie on le rocher just a few days before the the wedding of Prince Albert and Charlene Wittstock. Long life and happiness to the bride and groom. I may be behind the times, but I do not remember seeing a wedding pants suit before. 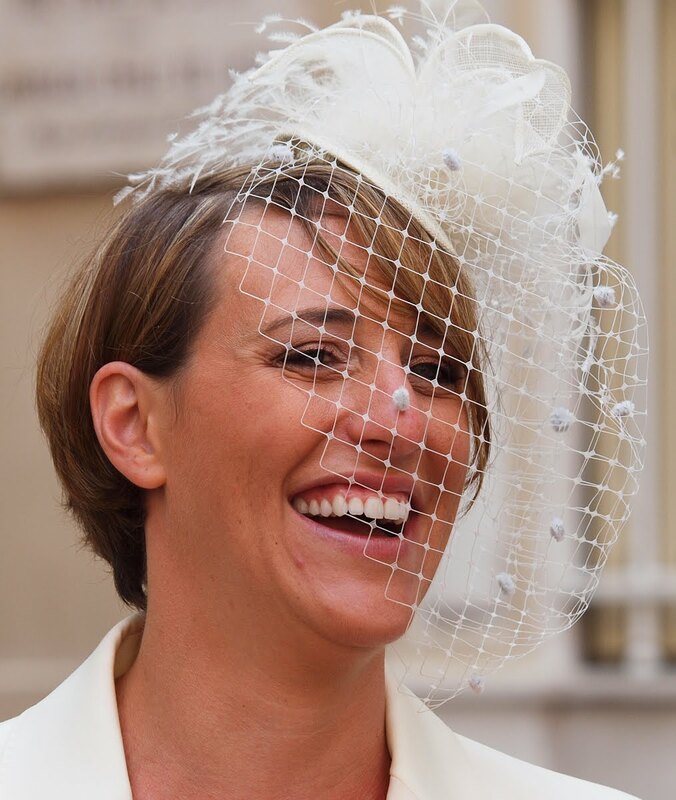 A wonderfully joyful photo of a Miss, er...Mrs...er Ms.
what a happy face and i love her wedding suit!